Take a look at our huge selection of Action Figures, Pop! Vinyl Figures, Statues, Construction Toys, Mini-Figures, and Roleplay! Ton-Ton is a favorite character in the Dinotrux animated series. 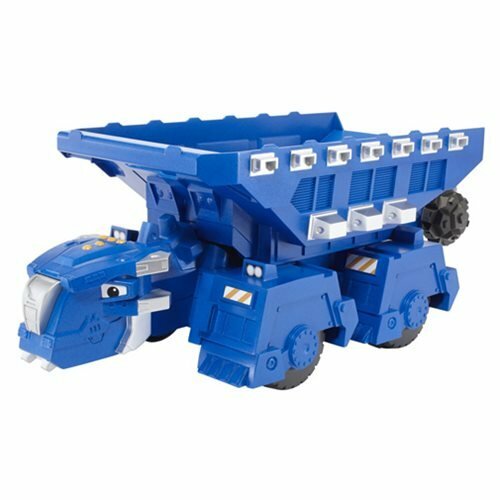 Half-dinosaur, half-construction vehicle, this Dinotrux Ton-Ton Vehicle comes in extra-large hero scale for big-time fun! The action-loving character from the Mechazoic Era shows off his dump truck abilities, and his huge size means he can carry a big load. Pull out his tail to use as a shovel to fill up his dump truck. Then transport your cargo and unload it with a simple lift. It's tons of fun!